I’m thankful I live in a democracy where I have the right to vote for my leaders, and I have the constitutional right and freedom to express my opinions about the direction our government is taking us. I’d rather live in a democracy than under any other form of government. However, I believe this puts me at a disadvantage when it comes to knowing what it means to follow Christ. In a democracy, the public elects its leaders. It votes them into office, and it votes them out. While in office, these elected leaders have limited authority. They must obey the laws of the land, and they can be removed from office if they abuse their authority. While in office, they are called public servants, meant to serve the people, and the people have authority over them (at least in theory). Contrast this with a king who has supreme authority over those living in the bounds of his kingdom. He didn’t gain his position through election but through inheritance or military conquest. He wasn’t voted in, nor can he be voted out if the people don’t like him. If he is an absolute monarch, he’s not subject to the law – he is the law. Instead of being a public servant, the public serves him. Similarly, a lord has authority and absolute control over possessions, which includes people. Like a king, he isn’t elected to his position either. Whether the people like their lord or not, they have no choice but to submit. The New Testament repeatedly calls Jesus both “Lord” and “King” (Mark 12:35-37, Luke 2:11, Acts 16:31, Matthew 2:2, 21:5, 25:34, John 18:37, 19:21, Revelation 17:14), positions of authority we don’t have in America. I don’t know by experience what it means to be under a king or lord’s rule. This lack of experience leads to difficulties in comprehending the authority of Jesus Christ as King of kings and Lord of lords. One approach to presenting the gospel uses an appeal to “make Jesus your Lord”. This sounds good, but is very unbiblical. You cannot make Jesus your Lord for you have no choice in the matter. God has already made Jesus Lord (Acts 2:36), and given Him ownership of all of creation (Acts 10:36, Psalm 24:1). All you can do is acknowledge that He already is Lord, that He already has full rights and ownership of you. In this parable, the nobleman did not kill his enemies for of fear of losing the kingdom to them, but just because he had a right to. As lord, he owned them and could do with them as he wished. This may seem unfair and unnecessarity cruel to his citizens (I’m sure they felt so! ), but that is partially due to our living sheltered lives in a democracy where nobody owns anyone else, and nobody has absolute rights over anyone else. Living in a democracy is also a disadvantage to those of us who have been saved and want Jesus to reign. When it comes to obedience to Christ’s commands, we freedom-loving American Christians tend to delay while we weigh the benefits or consequences of our obedience. “Should I love my enemies? What if they don’t respond to my love and hurt me even more? Should I keep forgiving my brother? He certainly doesn’t act repentant! Should I tell the truth to my boss? I might lose my job!” We treat Jesus’ commands as suggestions. We act as if we have a choice to obey or not (or at least to procrastinate): If we obey, then Jesus is happy. If we don’t… we’ve disappointed Him, but He allows us the right to choose and He’s ok with it. This is a false understanding of our relationship with Christ. I don’t have the right to disobey. Jesus is Lord: He owns me (1 Corinthians 6:20). Sure, He allows me to disobey, but I only get away with it because He is merciful and forgiving, not because of any supposed rights I have. I am so thankful Jesus loves me and is patient and long-suffering, because I certainly don’t deserve the kindness I receive from Him! I know He deserves better from me, so I’m slowly learning to go beyond “Lord” as a merely honorary title, and give Jesus the immediate obedience and submission He is worthy of. Let every person be subject to the governing authorities. For there is no authority except from God, and those that exist have been instituted by God. Therefore whoever resists the authorities resists what God has appointed, and those who resist will incur judgment. For rulers are not a terror to good conduct, but to bad. Would you have no fear of the one who is in authority? Then do what is good, and you will receive his approval, for he is God’s servant for your good. But if you do wrong, be afraid, for he does not bear the sword in vain. For he is the servant of God, an avenger who carries out God’s wrath on the wrongdoer. Therefore one must be in subjection, not only to avoid God’s wrath but also for the sake of conscience. For the same reason you also pay taxes, for the authorities are ministers of God, attending to this very thing. Pay to all what is owed to them: taxes to whom taxes are owed, revenue to whom revenue is owed, respect to whom respect is owed, honor to whom honor is owed. Thank for your comment on my review. I can’t believe someone’s still reading after 5 months of no posting! 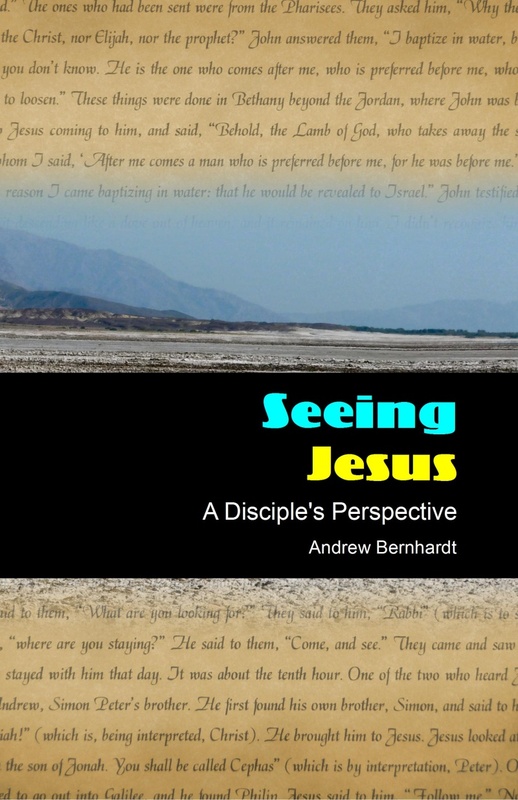 I really got a new persperctive of Christ’s love from this article. this statement stuck out to me, “I don’t have the right to disobey. Jesus is Lord: He owns me (1 Corinthians 6:20). Sure, He allows me to disobey, but I only get away with it because He is merciful and forgiving, not because of any supposed rights I have.” That is amazing – that is love – love is amazing – God is love (1 John 4:16) – God is amazing!